/Get Started with hutbay /How can I schedule an inspection of a property? Scheduling an inspection is usually done by calling the agent and fixing a date for the inspection but on hutbay, you can schedule an inspection with ease. 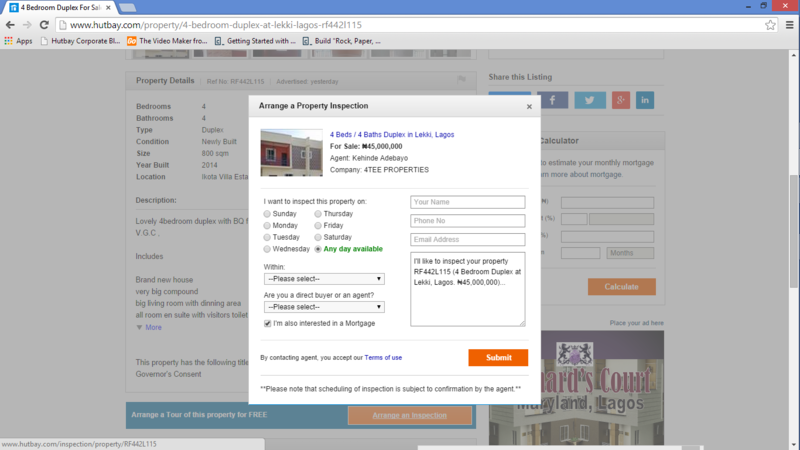 The Arrange a Property Inspection icon will pop-up for you to schedule your inspection with the agent in charge of the property. 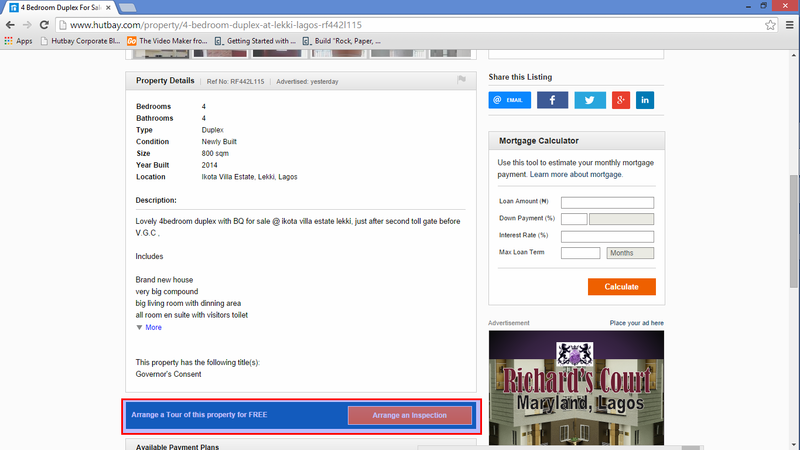 In this pop-up, you have details about the property along with all the information that will be needed to schedule the inspection.